Delicious with: game dishes and South Tyrolean hard cheeses. 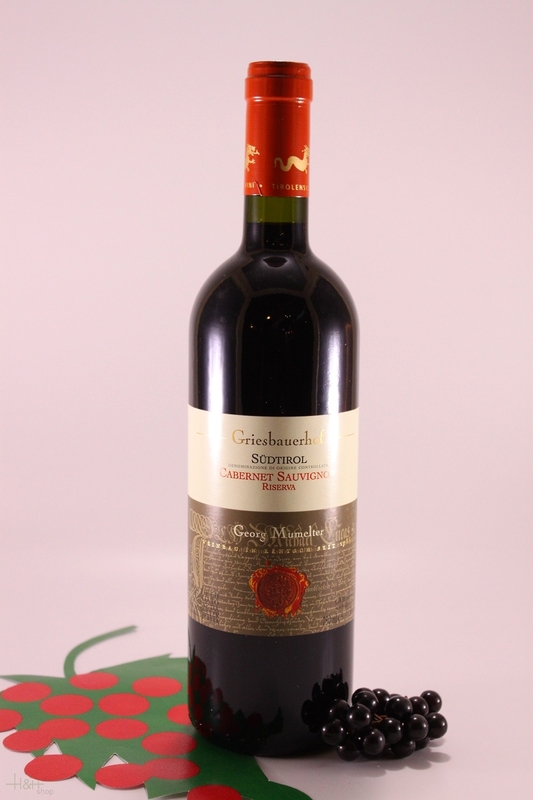 "Vinous Antonio Galloni" has rated the wine "Georg Mumelter - Griesbauerhof Cabernet Sauvignon Riserva Sudtirol, Trentino-Alto Adige, Italy" from the vintage 2013 on 01.05.2016 with 88 of 100 points. Buy now this product together with Muscatis Cheese DEGUST approx. 300 gr. Muscatis Cheese DEGUST approx. 300 gr. ready for shipment: in stock Muscatis Cheese DEGUST approx. 300 gr. Satyricum Cheese DEGUST approx. 500 gr. Cut cheese bovine raw milk and goat raw milk, Appearance: small cylinder form - sprinkled with garden savory, Aroma: strong - garden savory, Flavour: little salt - spicy, Consistency: rubbery, Maturation: approx. 2 months. Sarentino Blue Cheese Obergurschnerhof approx. 600 gr. Blue cheese bovine raw milk, Appearance: light grey natural rind, Aroma: woods, Flavour: mushrooms - tasty, Consistency: fondant, Maturation: 2 monts in the natural cellar. Flowery (Fiorile) Cheese DEGUST approx. 250 gr.